CM Jayalalithaa Health Condition : Suffers cardiac arrest; being attended to by a team of experts @ ApolloHospital. 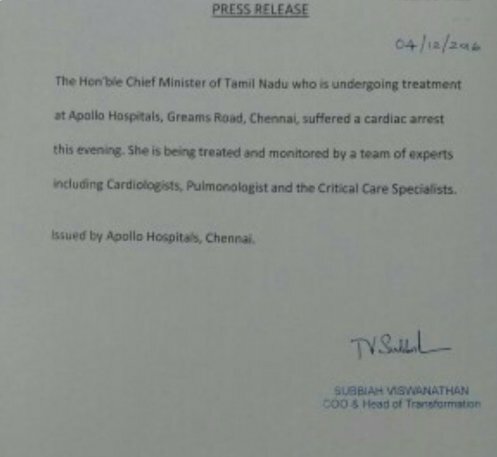 #ApolloHospital’s press release on #TamilNadu CM #Jayalalithaa suffering a cardiac arrest this evening. 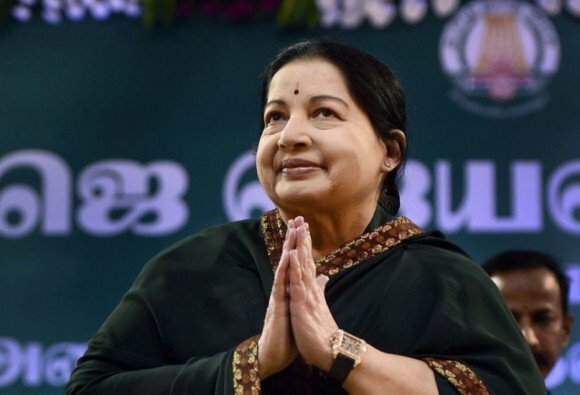 #Jayalalithaa suffers cardiac arrest; being attended to by a team of experts: #ApolloHospital. Sir Ravindra Jadeja ‏: #BREAKING: TN CM #Jayalalithaa Suffers Cardiac Arrest; Being Attended To By A Team Of experts: #ApolloHospital. (Apollo Hospital) Prayers!